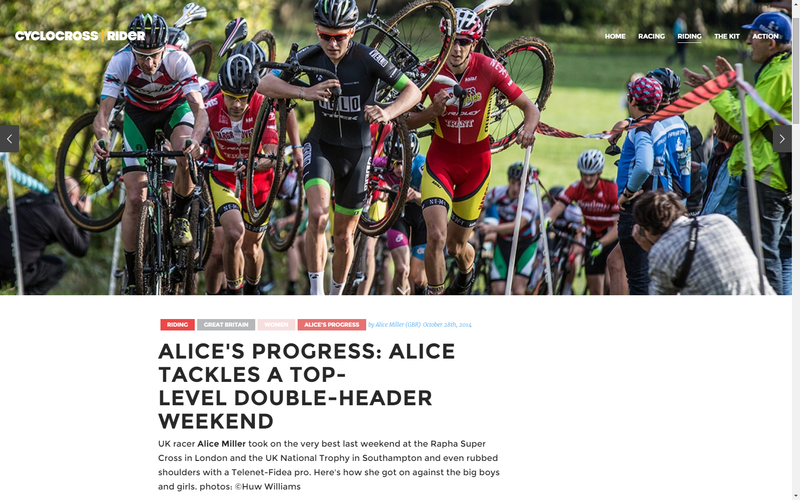 Here’s my latest installment for CYCLOCROSSRIDER, which, if you keep up-to-date with my race reports, you’ll already know, but here it is in a slightly different format with shiny pictures too! BUILDING on the last few weeks of racing this weekend took me to a whole new level with back-to-back events at the Rapha Super Cross in London on Saturday and round two of the UK National Trophy in Southampton on Sunday. I was really excited to have landed a guest spot on the Saddleback/Felt team and so had the great opportunity to race in the Elite team event at Rapha Super Cross over the tough Ally Pally course in north London. Having raced the open senior event last year I knew the atmosphere of the Rapha Super Cross day would be great with all the beer, frites, foam cannons and DJs you could wish for!